DreamClick Pro - The better solution for Kitchen flooring. DreamClick Pro combines extra high durability with a variety of designs to choose from, suited for both residential and Kitchen use. DreamClick is a quiet floor; it absorbs noise and gives off a soft sound when walked on. DreamClick also feels warm and makes you feel like walking on a real wooden floor. DreamClick is resistant to dampness or water spillages. No swelling, warping or rotting of the vinyl or HIPS frame. No lifting or curling on damp floors. DreamClick requires very little maintenance, just use a brush or vacuum cleaner or you can even clean your floor with a wet mop and standard cleaning products. Because it is made of virgin PVC material, our DreamClick floors are 100% recyclable. 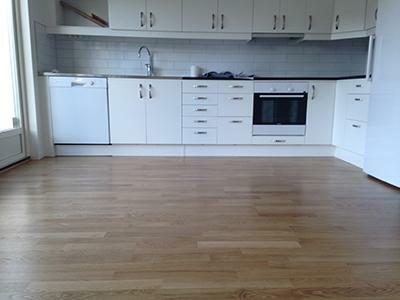 All our floors are hygienic, thanks to the polyurethane top layer. The stronger joints give a greater resistance to heavy traffic and rolling loads.